It’s no secret that we LOVE Hawaii. We have now been to the islands 5 times together and every time we have to force ourselves to leave, spend weeks (or months) sad that we left, and instantly begin planning another trip back. We just got back from our second trip to Oahu (you can watch all of our Oahu vlogs here) and had the most incredible 5 days beach hopping, eating shave ice and acai bowls, going on sunrise and sunset adventures, soaking up tons of sunshine (it was our first ever Hawaii trip without an ounce of rain! ), and so much more! 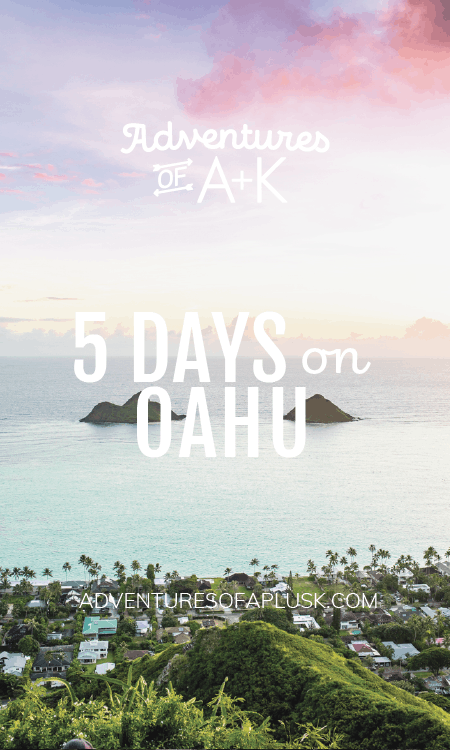 To hopefully make planning a trip to Oahu a bit easier for others, we’ve created a 5 Days on Oahu Guide filled with tips on where to stay and an itinerary for 5 days that will give you a good taste of what the island has to offer, especially if you’re limited on time (like us) or it’s your first time to Oahu. 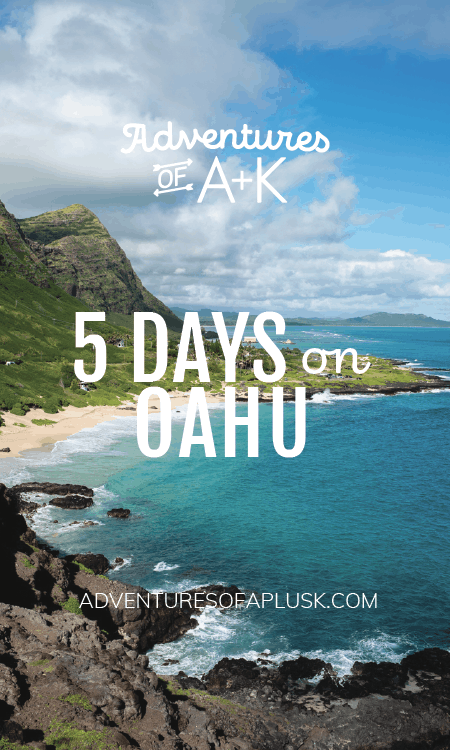 You could easily spend more than 5 days on Oahu, so we included a bunch of extra ideas if you have more time or just want more options! We craft our travel guides based on our experiences and a lot of research. With that said, we haven’t spent a ton of time on the Leeward Coast (West side) or Northeastern portion of the island, so there aren’t many spots in those areas included on our guide. However, we do have some suggestions in our “if you have extra time” section based on our research. We absolutely love the North Shore and East Side of the island, so we are dedicating a lot of the guide to those regions. We are not lay out at the beach all day type people. 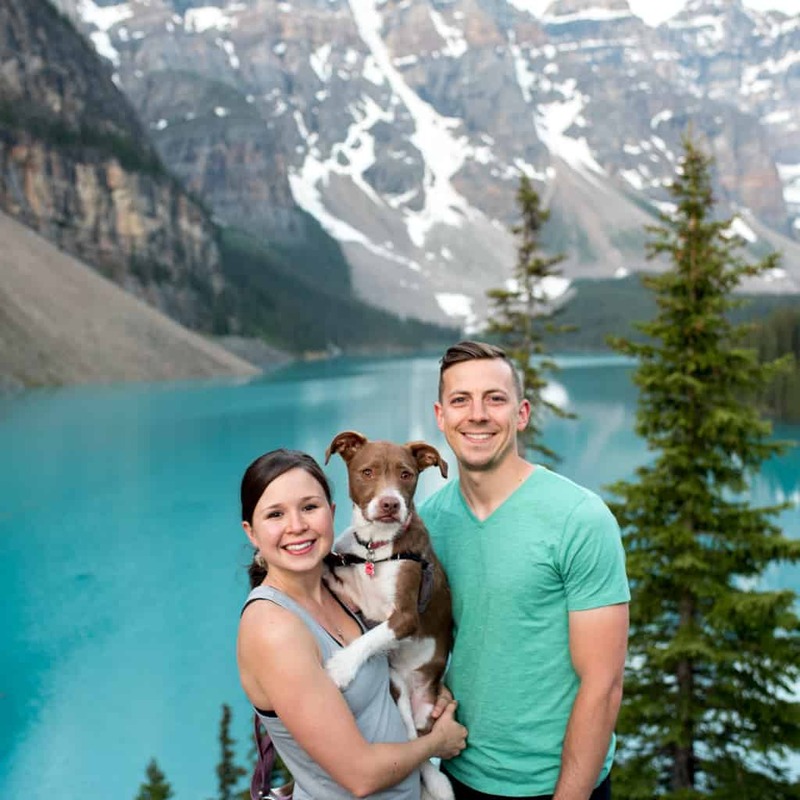 We like to spend our days doing a mix of beaches, hiking, eating, and exploring towns, so our guide definitely caters more to our travel style, but it still will give you tons of ideas even if you prefer to travel differently! 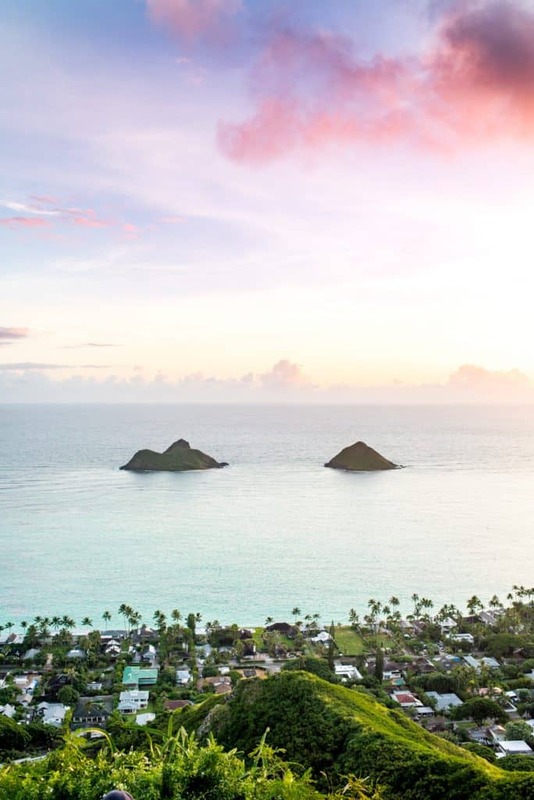 We hope you have a relaxing, magical, and adventurous trip to Oahu! 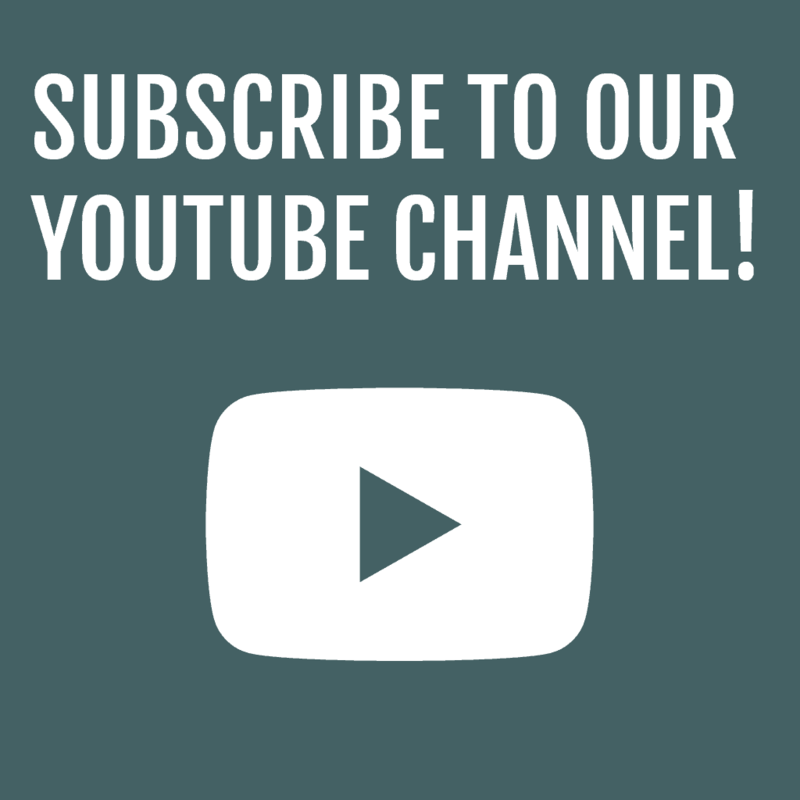 If you have any questions about the island or our guide, please shoot us an email or send us a message on Instagram! 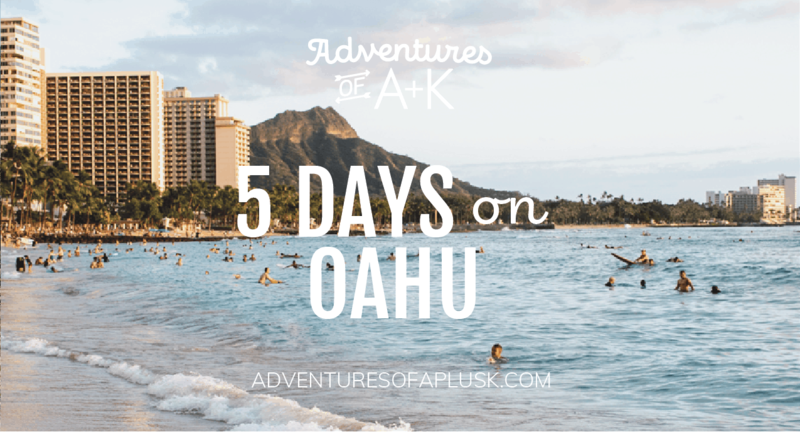 PS: Heading to Maui or Kauai? 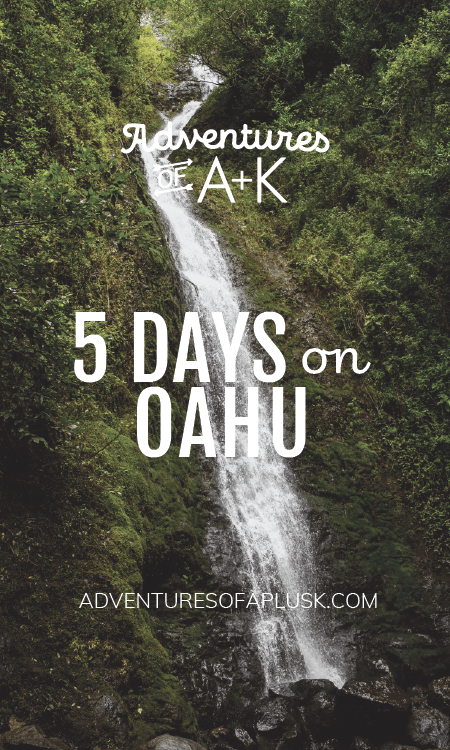 Check out our 5 Days on Maui Guide and our Kauai blog post! One of our biggest tips when visiting Oahu is to not stay at Waikiki. While Waikiki is a super fun area, it is too busy and commercialized, in our opinion, if you’re wanting that true Hawaiian experience. 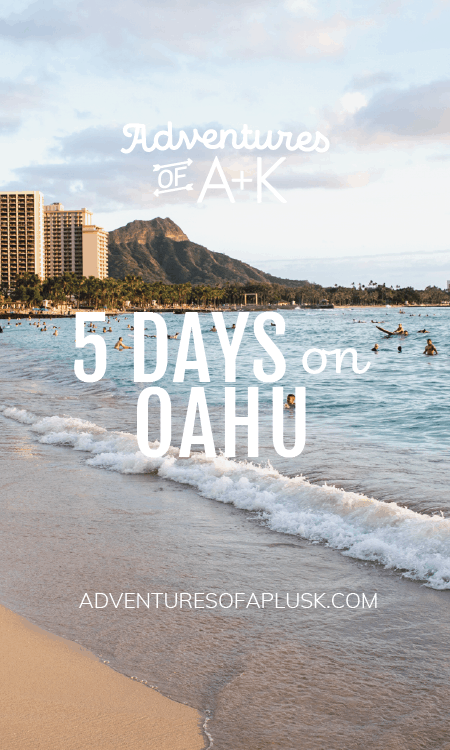 Both times we have visited Oahu we haven’t stayed in Waikiki, despite most of the hotels being there, and have loved staying in quieter areas and then visiting Waikiki for a day. As for where to stay, we are big fans of Airbnb! We love the convenience of a kitchen and being able to cook meals (it helps us save a lot of money while traveling), as well as getting to stay in more local areas. Here are some great Airbnb options on the island! Option #1–This is where we stayed and it was affordable, quiet, clean, and close to everything on the North Shore! 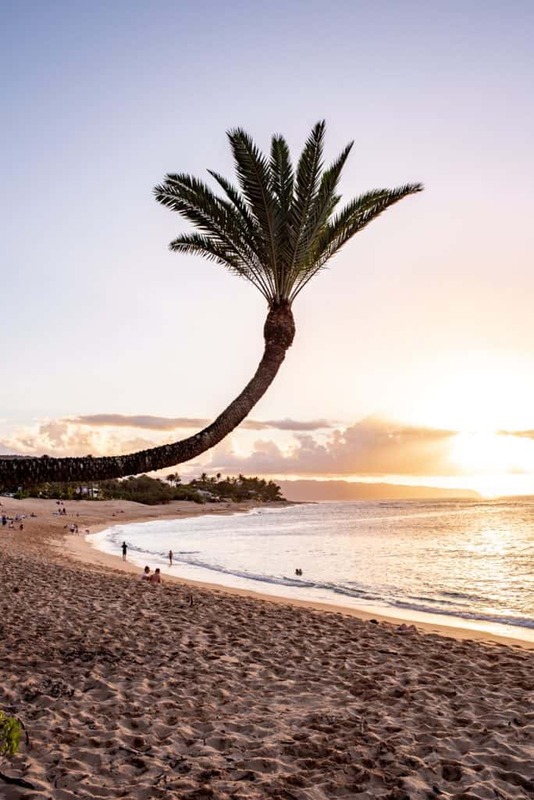 Although we recommend staying somewhere besides Waikiki, here are a few options if you decide it’s the right spot for you! 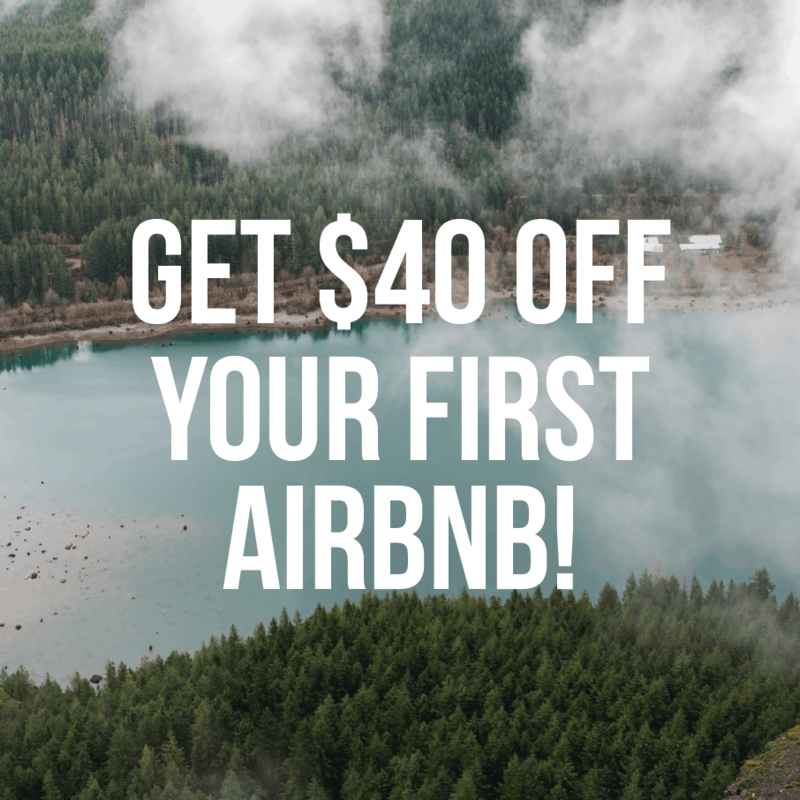 PS: if it’s your first time booking on Airbnb, use our code to get $40 off! If you’re looking for a more resort environment, we highly recommend checking out Ko Olina! This area is home to 4 resorts and is beautiful and relaxing. There are also lots of restaurant options at the resorts and across the street, so you technically would never have to leave! Both time we have visited Oahu we have rented a car. We love having the flexibility to go anywhere we want during the day, especially because there is so much to explore on the island! We almost always rent our cars through Costco, which is usually the cheapest option. Tip: You can use your own Costco membership or a family member’s and still have the reservation under your name. Expedia and other travel sites are also great ways to shop around for rental cars. If you only plan to leave the area you are staying once or twice, there is Uber on Oahu. However, with how far some things can be, it may be pricier than renting a car for the day. We recommend checking out Uber’s Fare Estimate tool to see what the costs would be and then decide if renting a car or Ubering is the best option for your budget. Start the day with coffee at Brew & Foam. 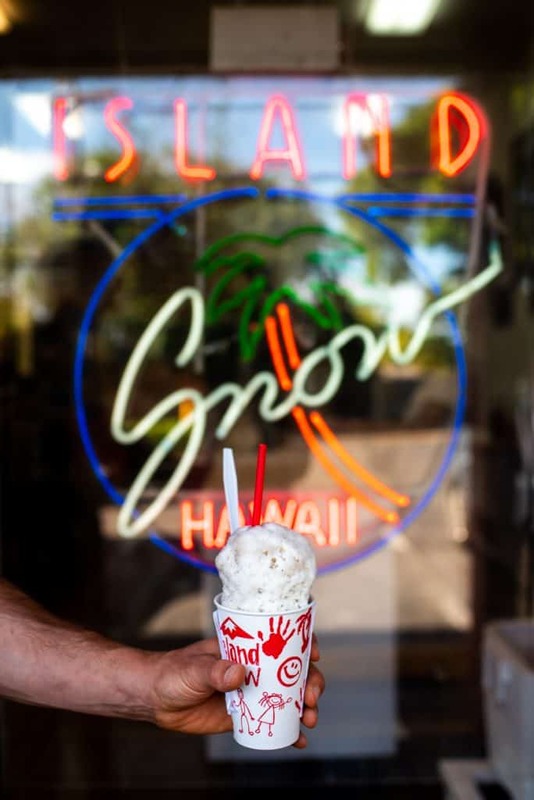 Make sure you try their coconut whipped cream! 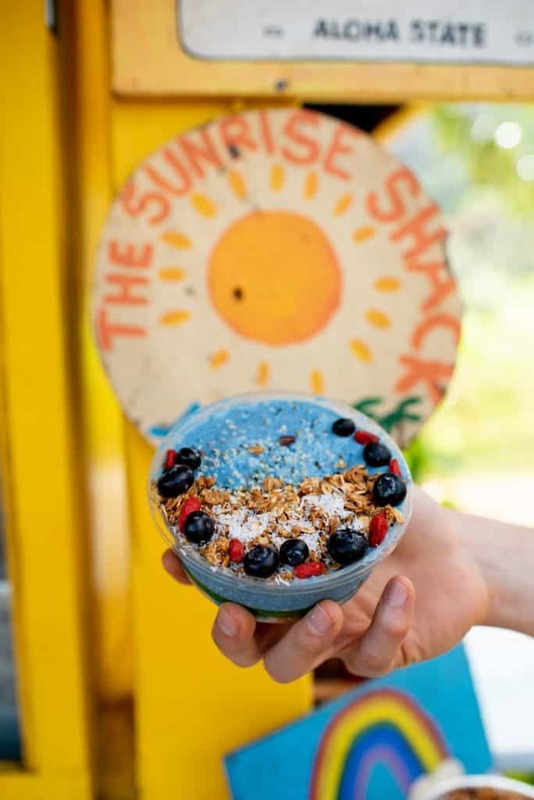 For breakfast, grab an acai bowl at Haleiwa Bowls. Bonus points if you take it to the beach! 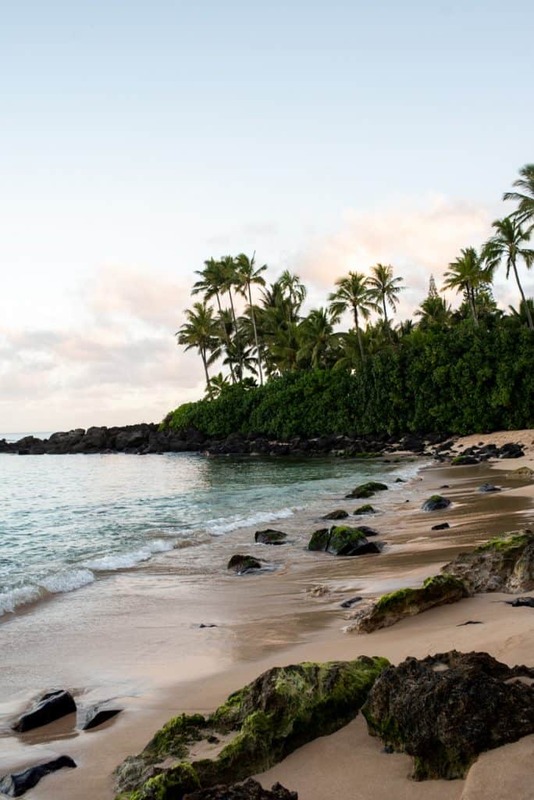 Spend the rest of the morning at Laniakea Beach, a gorgeous beach on the North Shore with beautiful views. 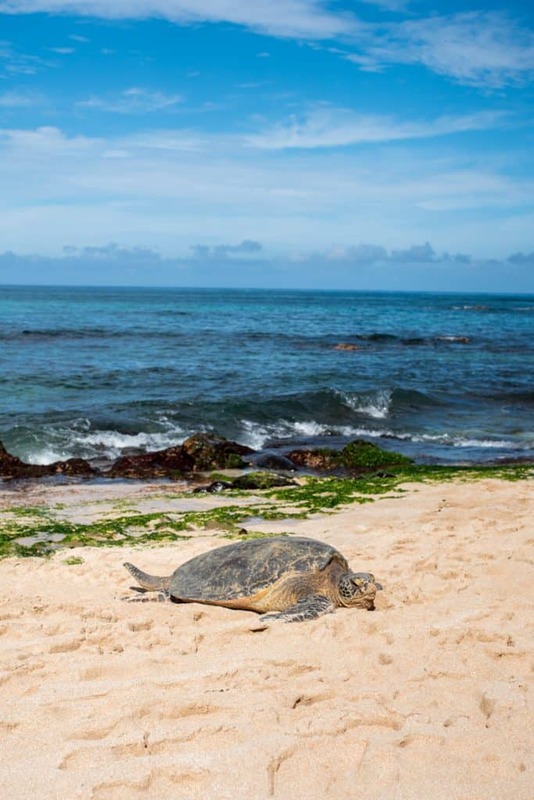 If you’re lucky, you’ll see a sea turtle on the beach! 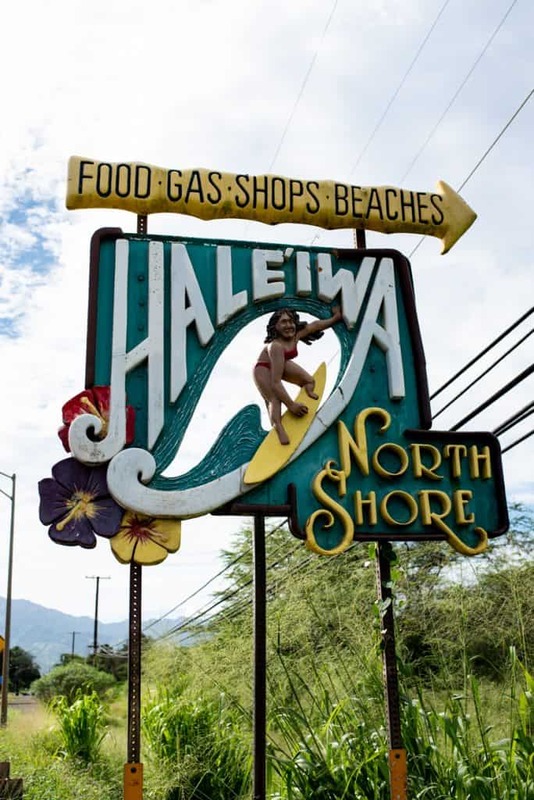 After relaxing for a few hours, explore the town of Haleiwa! This area has a small town, surfer vibe and we love walking around the shops here. Grab lunch at Kono’s. We recommend their breakfast bomber or the pork lunch plate! Enjoy your first (of many) shave ice during the trip at Matsumoto Shave Ice. Don’t forget to get ice cream and a snow cap! Head to Kaena Point for sunset! 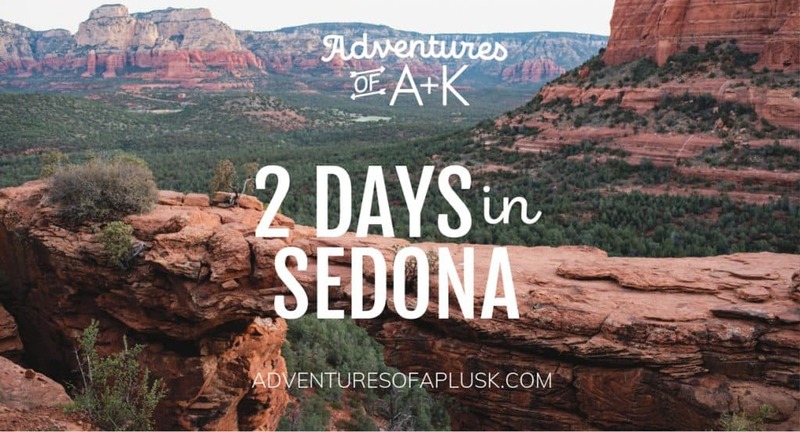 Depending on how much time you have you can do the full hike, or just wander around for a bit. Heads up: a lot of spots close kind of early on the North Shore, but here are a few dinner options nearby or you can cook at your Airbnb! 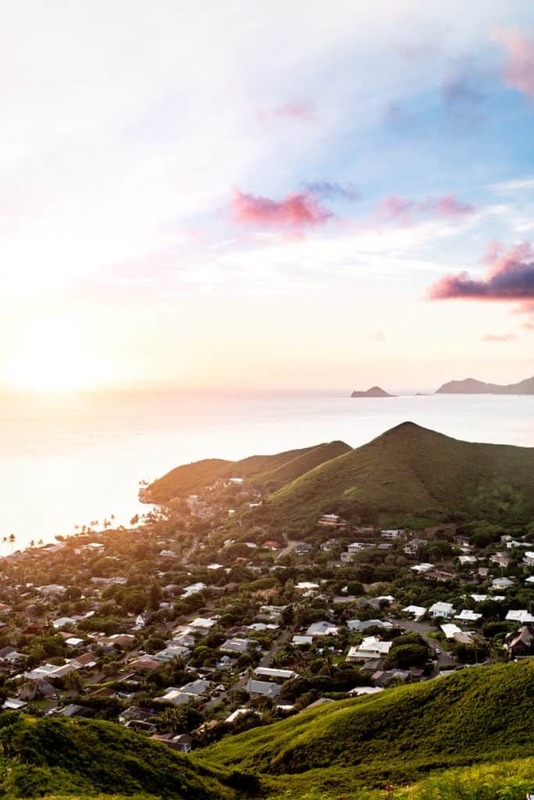 Kick off the morning with a sunrise hike up to the Ehukai Pillbox! 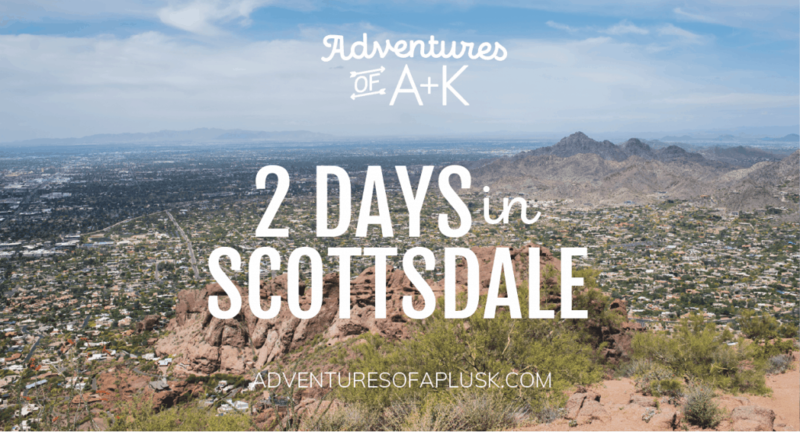 It’s a 2.1 mile roundtrip hike with a 675 ft elevation gain and great views of the North Shore! 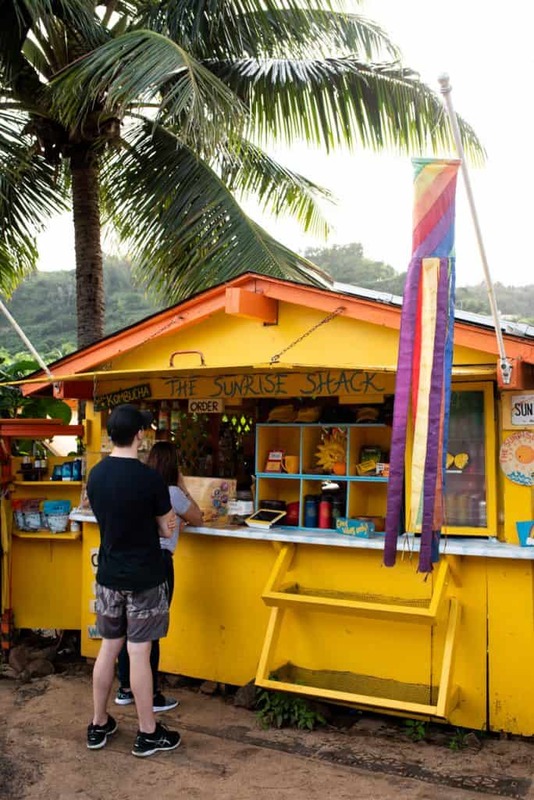 Fuel up after your hike at The Sunrise Shack. We LOVED this spot! We highly recommend getting their coconut bullet coffee (the best thing we have ever drank! ), an acai bowl, and their blue dream bowl! Spend the rest of the morning soaking up the sunshine at Waimea Bay. Warning: parking here is a nightmare, so make sure you get here early! For lunch, head to Ted’s Bakery (make sure to get some pie!) or Pupukea Grill (Note: Closed Mondays). Finish the day by relaxing and watching the sunset at Sunset Beach. 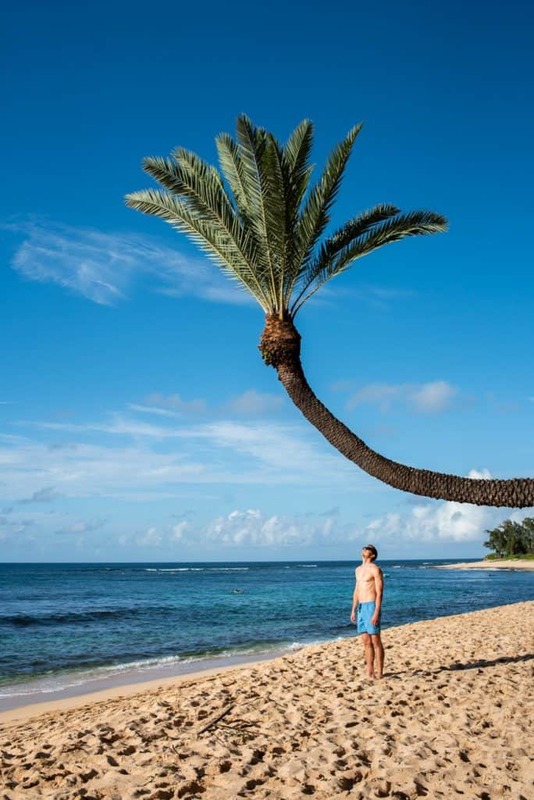 Make sure to find the crooked palm tree! For dinner, check out a spot that you didn’t make it to yesterday or you can cook at your Airbnb! Now that you’re awake and caffeinated, it’s time for a sugar rush at Leonard’s Bakery. 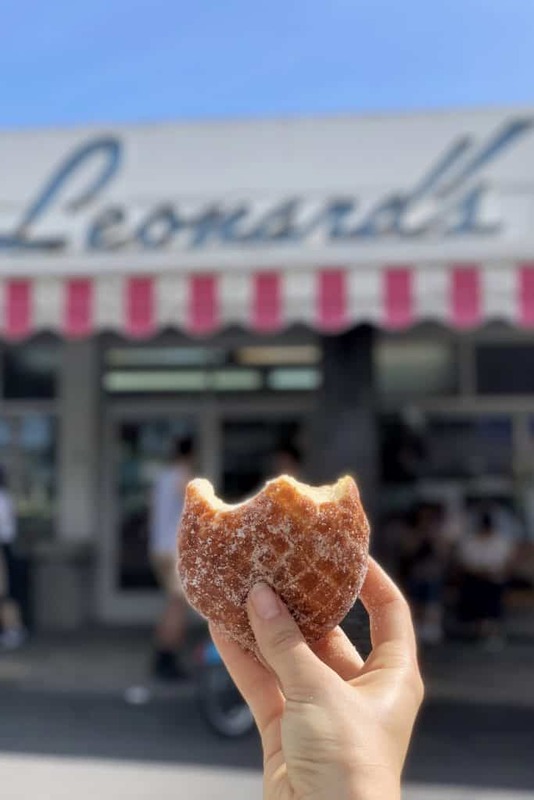 Leonard’s is famous for its malasadas and WOW they are good! So good that Kathryn cheated on her gluten free diet (which she NEVER does) in order to try a couple bites…and it was totally worth it. If you want a more traditional breakfast, head to Sweet E’s Cafe or Joe’s Grill Express, which is a hole in the wall, affordable spot with amazing breakfasts (so we hear). You may have just eaten a whole box of malasadas and that’s ok! Next stop: Hiking to the top of Diamond Head. 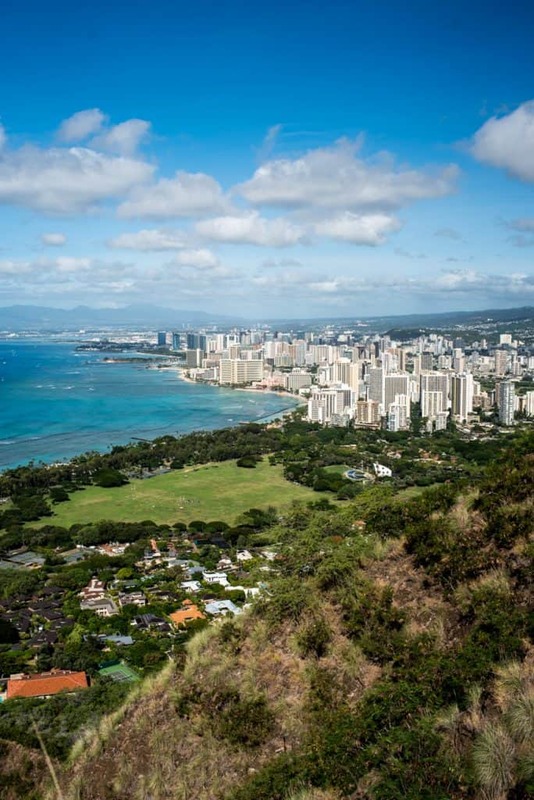 This 1.8 mile round trip hike gains 452 feet and has some crazy awesome views of Honolulu and the East Side. It’s $5 to park (cash only) and it gets really busy and hot, so plan to arrive early! Make sure you save some room for shave ice! 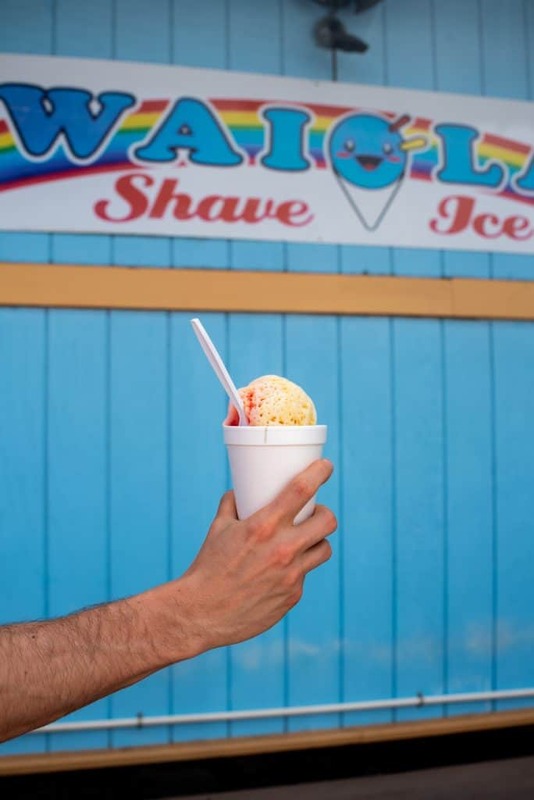 Head to Waiola Shave Ice to experience some of the softest shave ice we have ever had. As always, make sure to get ice cream and a snow cap! After eating tons of delicious food and going for a hike, it’s time to relax at Waikiki Beach. 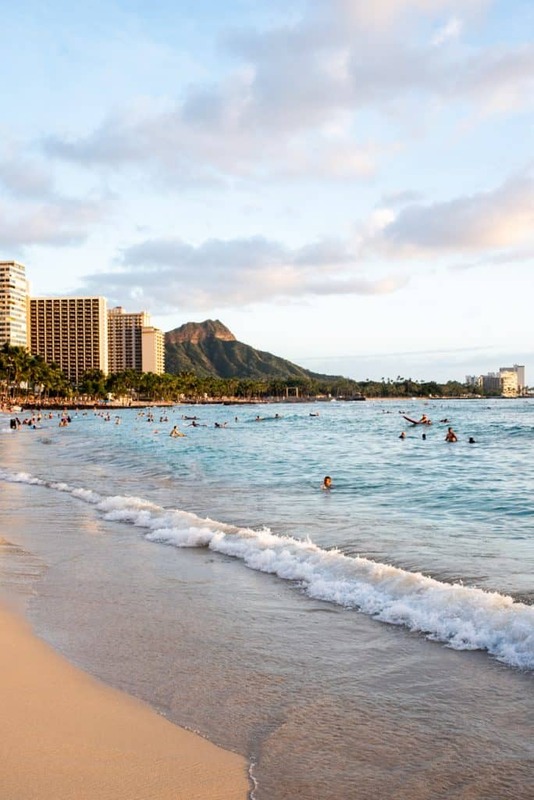 This beach, with its view of Diamond Head, is iconic and while very busy, you have to experience it while on Oahu! Make sure to stay for sunset! Finish the day with our Hawaiian tradition: dinner at Duke’s! We recommend eating at their barefoot bar (cheaper, less fancy food) overlooking the beach. Their salad bar is awesome too! And if you aren’t sugar-ed out from the day, get the hula pie. 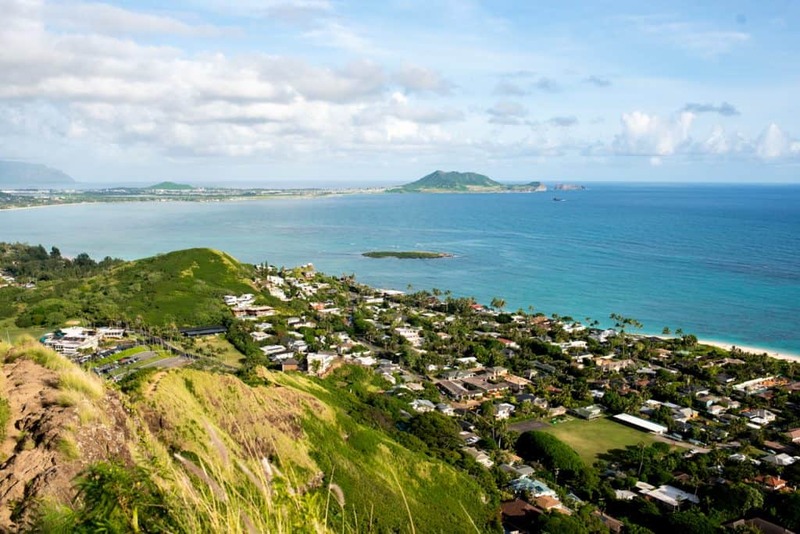 Get up bright and early to do a sunrise hike up to Lanikai Pillboxes. Wow, the view from this spot at sunrise is absolutely breathtaking! Make sure to bring a headlamp! Also, parking can be tough (it’s in a residential area), so please be mindful of signs and the residents. Next, head to ChadLou’s Coffee Roasters for some coffee. We loved their Ice Grinds, but warning, it has ice cream in it, so it’s more like dessert! 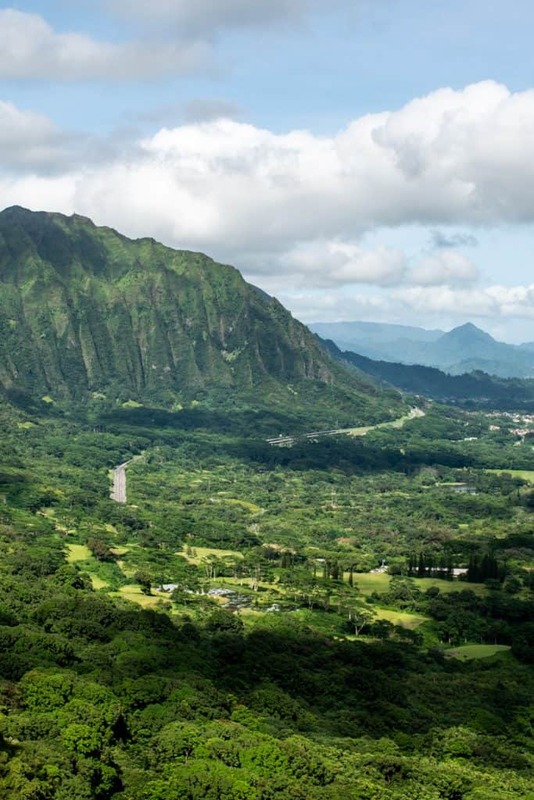 Admire the views at the Nu’uanu Pali Lookout. It’s $3 to park and a quick stop, but the views are gorgeous! Go chase waterfalls at Lulumahu Falls. This hike is technically government property and trespassing without a permit. Most people don’t get a permit, but it’s only $2.50 and super easy to get, so we recommend getting one to be safe. Also, this trail can be a bit confusing, but follow the pink markers on the trees and the stream and you’ll eventually find it. 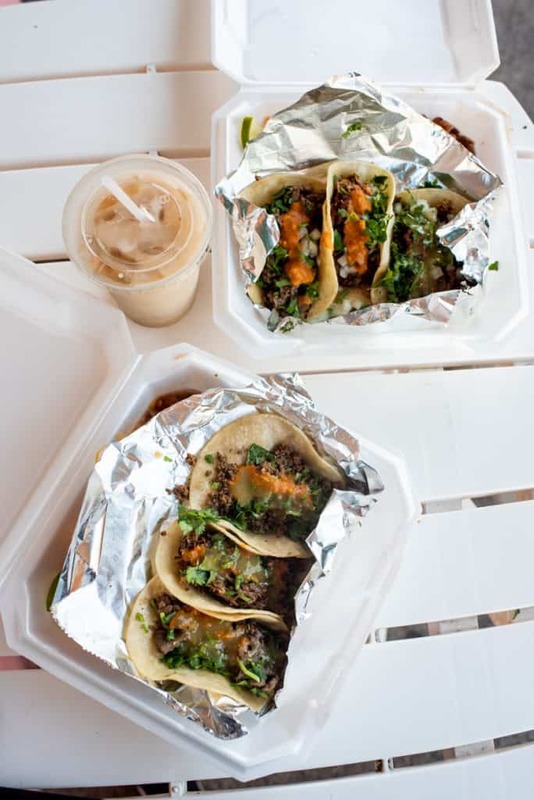 We recommend packing a lunch to enjoy before or after the falls. 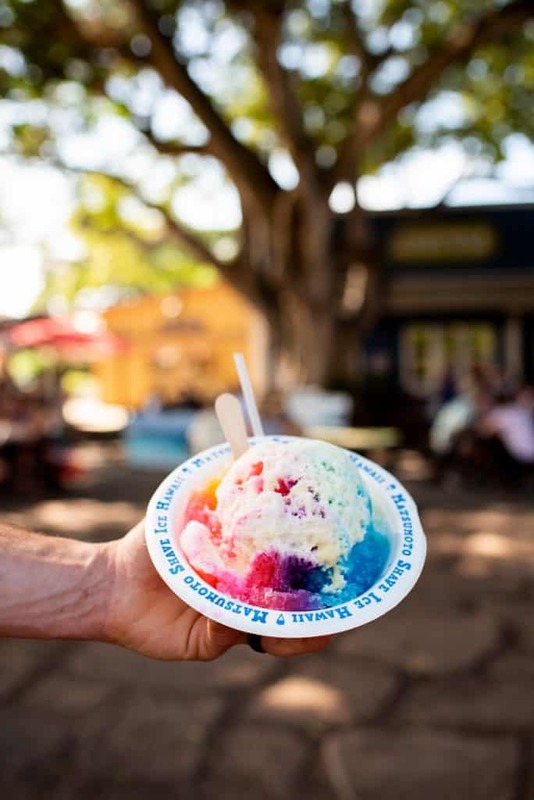 Head back to Kailua to the Obama family’s favorite shave ice spot: Island Snow. They also have mac nut ice cream here…score! 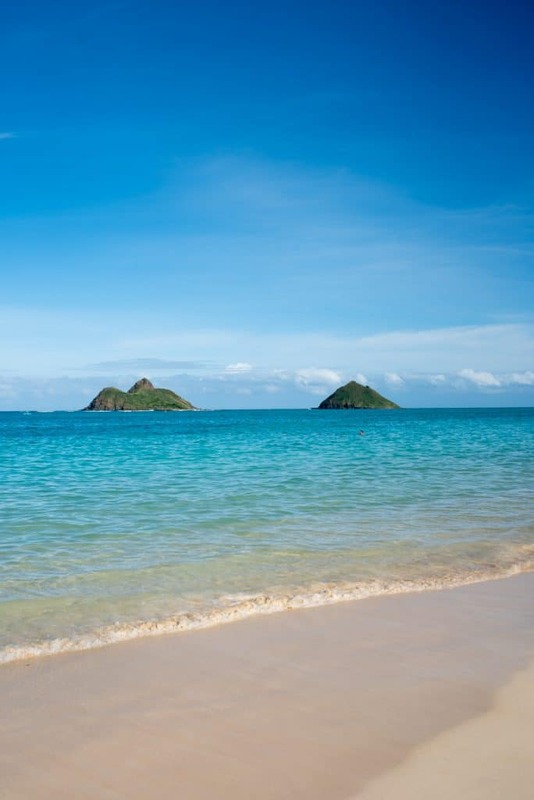 After a busy morning and afternoon, spend the rest of the day relaxing at Lanikai Beach. For dinner, check out Kalapawai Cafe & Deli in Kailua! 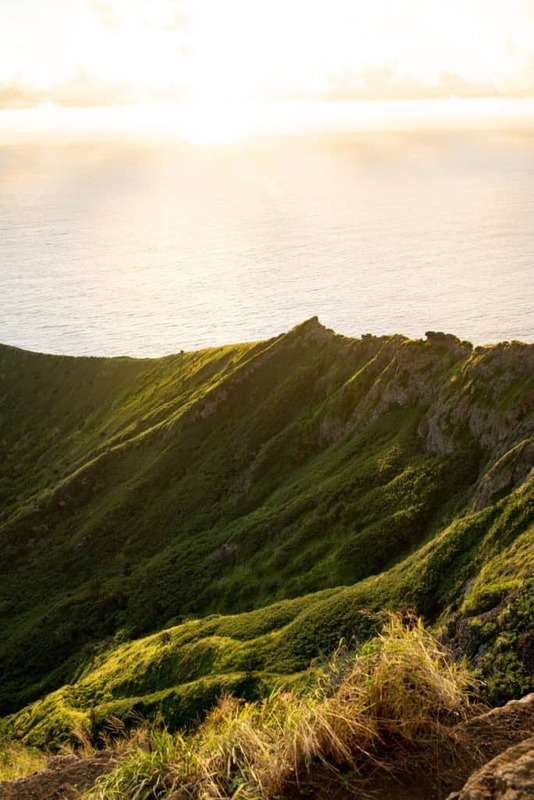 Start the morning with a beautiful sunrise at the top of Koko Head Crater. 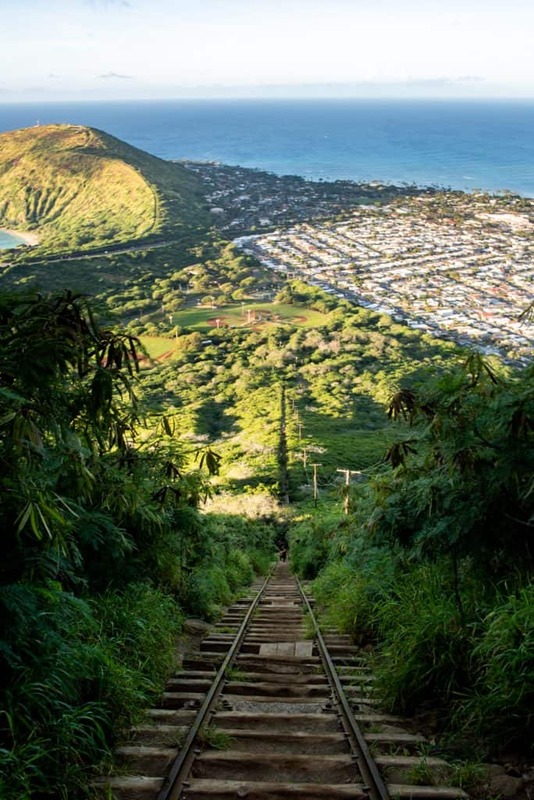 The trail to the top is a leg burner with 1,048 railroad ties (stairs) you have to go up, but the pain is totally worth it for the views. Make sure to bring a head lamp! After a killer workout, grab breakfast and coffee at Island Brew Coffeehouse. Spend the rest of the morning snorkeling at Hanauma Bay. This is a gorgeous bay that is famous for being the best snorkeling spot on the island. It gets very, very busy and parking can be rough, so be prepared! You also have to pay $7.50 a person to enter, as well as watch a video on marine life and preservation. (Note: Hanauma Bay is closed on Tuesdays) We also recommend packing a lunch to eat during your snorkel breaks! 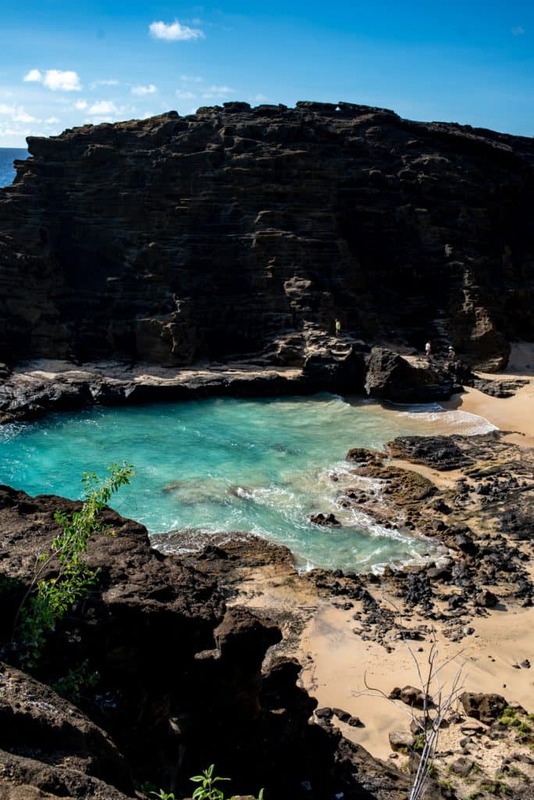 After hopefully seeing tons of awesome marine life, drive up the road to Halona Beach Cove, which is a beautiful cove you can hike down to that has been the backdrop for Pirates of the Caribbean, 50 First Dates, and an Elvis music video. There’s a cool cave at the beach and also a blowhole you can view from the parking area. Continue up the road a little bit to the Makapu’u Lookout. You can either just soak up the views from the parking area or you can spend a little bit more time to hike to the lighthouse lookout. If you have time before sunset, spend the rest of the day at Makapu’u Beach or Waimanalo Beach. For dinner, either make a homemade meal at your condo or check out one of the spots in our “if you have extra time” section. Paia Fish Market (Waikiki)–We LOVE their Maui locations! Raised by the Waves (North Shore)–this vegan friendly spot looks amazing for gluten free vegan waffles! Pretend you’re at Jurassic Park at Kualoa Ranch! You can do ATV tours, horseback tours, kayaking tours, a film and TV tour, and SO much more here! 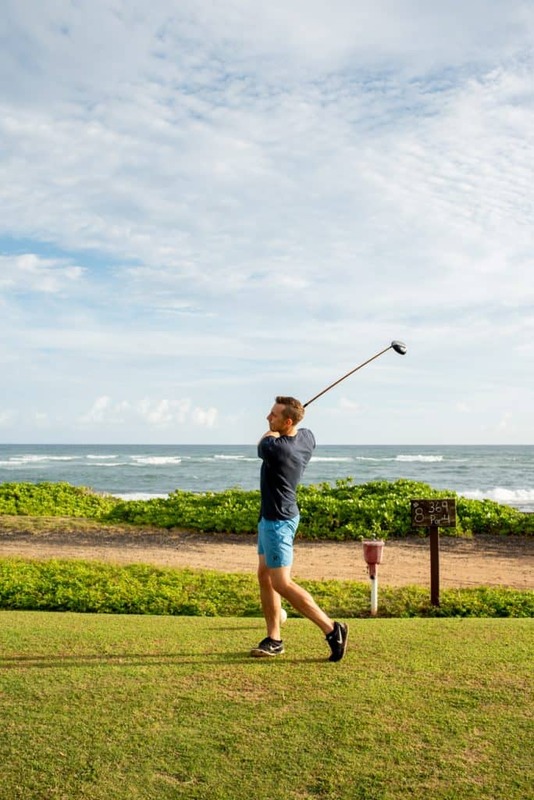 If you’re a golf lover, play a cheap 9 holes along the ocean at Kahuku Golf Course. It’s not a glamorous golf course, but you can’t beat the price and views! 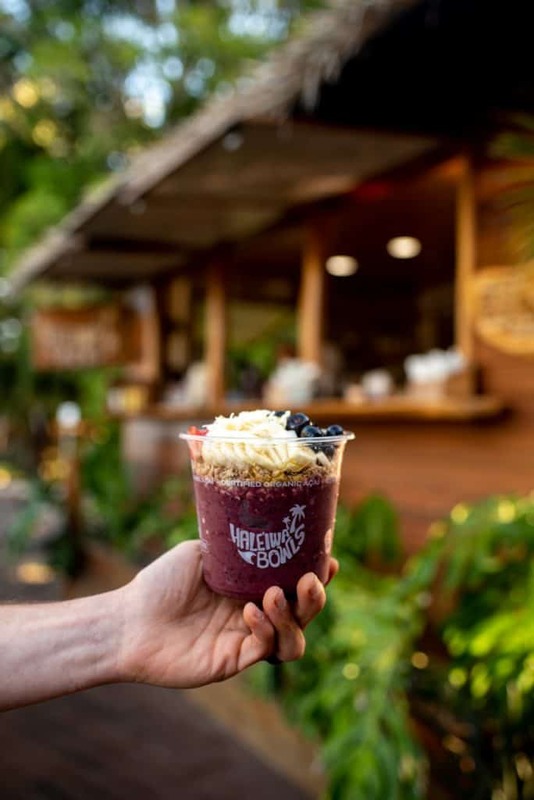 Tour Kahuku Farms and also grab a smoothie from their cafe! Enjoy the lagoons at Ko Olina. 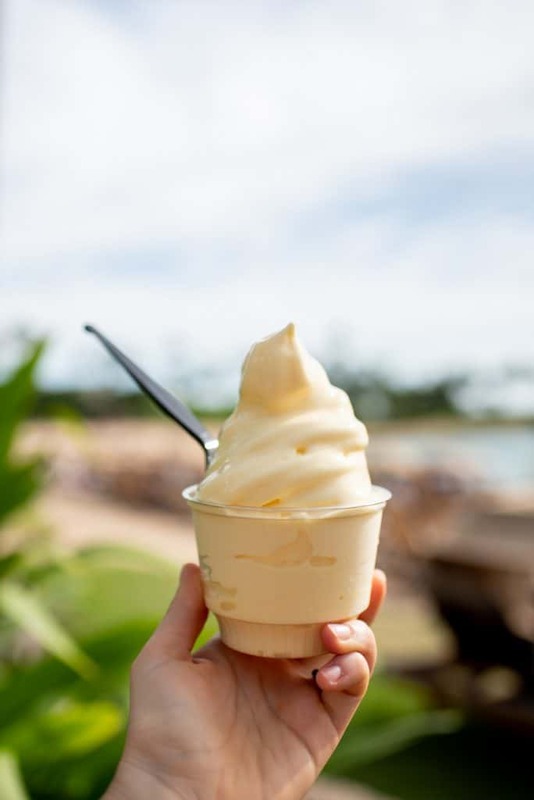 We love this area–make sure to grab a Dole whip at the Disney resort! 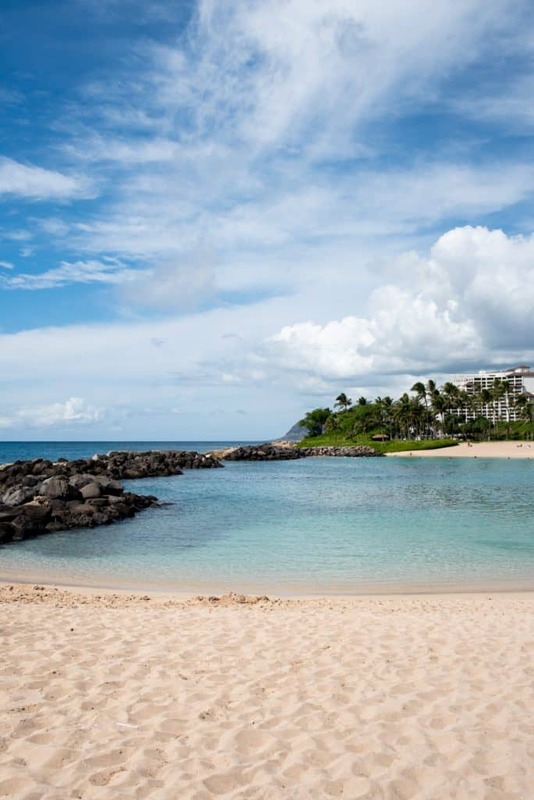 Lay out at Makua Beach or Makaha Beach on the West side! These would be great beaches to combine with Ko Olina! Go on a helicopter tour! 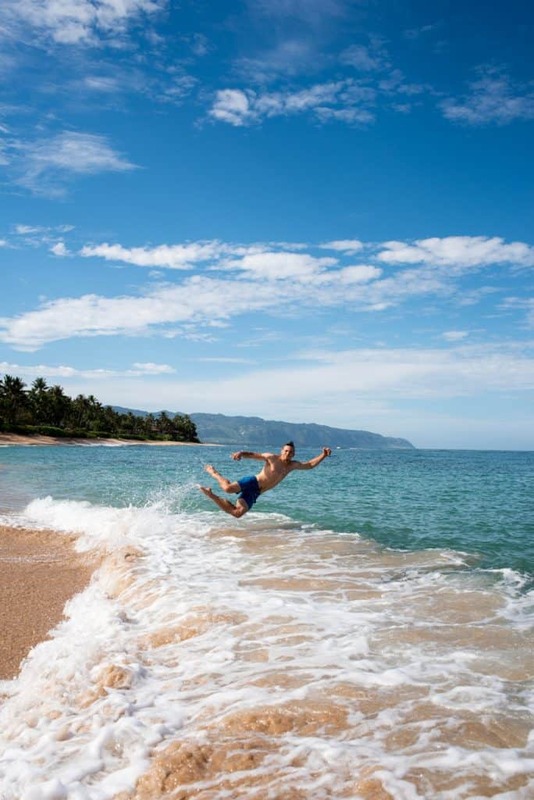 Kathryn’s brother did this on our first trip to Oahu and it looked like so much fun! View the island from new heights by going skydiving! Kathryn’s other brother did this on our first trip to Oahu and the video and photos were INSANE! Spend an evening at a luau! 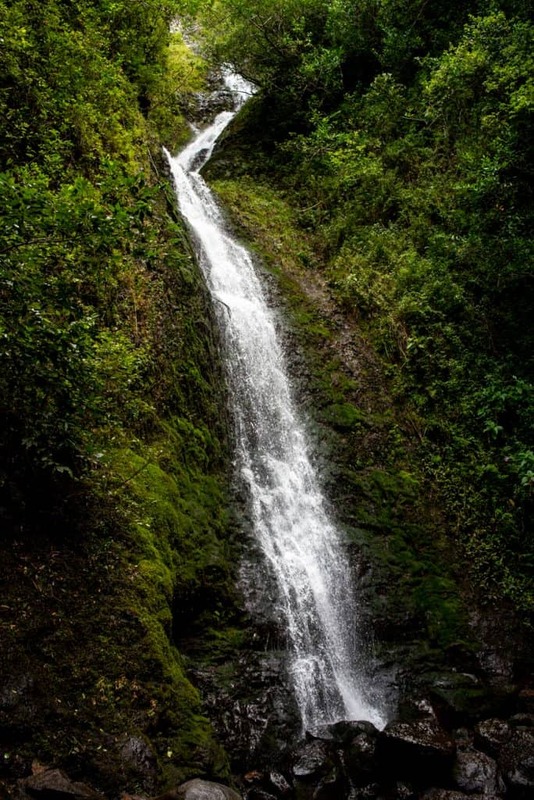 There are many amazing hikes on Hawaii, some of which are private property. Since we are big rule followers, we are only including trails that are legal to hike. Dreaming of a Hawaiian getaway? 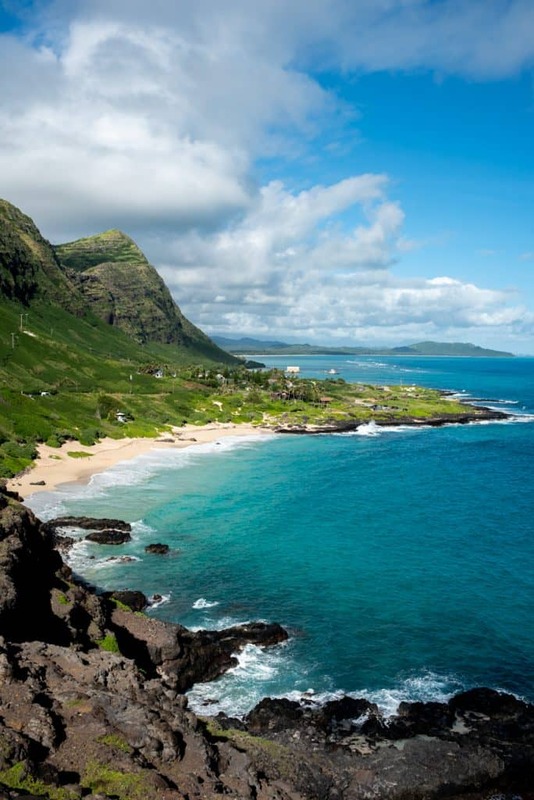 Pin this guide to help plan your Oahu trip!